Gen. Lollesgaard expressed concern that the Hodeida agreement was heading towards failure and that many attempts with the Houthis hadn’t been useful to convince them to start implementing it. Actually, after less than four hours of the announcement of the head of the international team observering redeployment in Hodeida, the UN envoy to Yemen Martin Griffiths released to the media, his intention to visit Yemen and that he is going to be an unwelcomed guest on the cave of Abdul Malik Al-Houthi to discuss the plan and rescue the militia from the impasse of the Hodeida agreement. So, the UN envoy appeared concern from the statement of the chairman of the international observering team. The declaration was hesitated to be an advance to reporting to the Security Council on behalf of the organization obstructionist, or a prelude to the Gen. Michael Lawlessard to announce to the international public that the Houthi militia is barren to implement the UN-sponsored pact reached on 18 December in Sweden. The envoy Martin Griffiths rushed to be a new guest on a cave, we are not sure if Abdul Malek Al- Houthi would meet Griffiths in his cave in Maran or Bani Hashish or in Matrah. 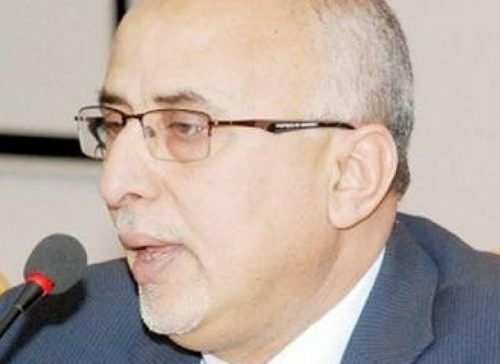 It is a wide and comfortable cave, and it could be enough to receive all diplomatic and international delegations, for it is not the first time to Abdul Malek Al- Houthi to receive in his cave a UN envoy. Abdul Malik Al-Houthi’s cave has history and tales. The first one was Gamal Ben-Omir who tried to pull Yemeni people to the cave of Houthi, but the Yemenis refused to return to his cave after he was left forever six decades ago. 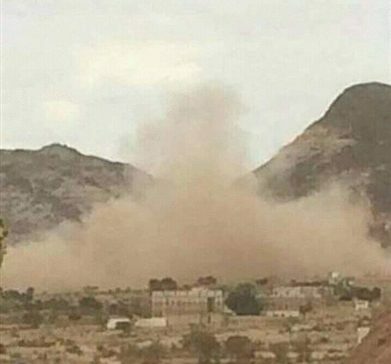 However, Ben-Omar resorted to the alternative backup plan, and led Abdul Malik al-Houthi from his cave in Saada to hand him over the capital Sana’a and the state institutions. The successor was the envoy Ould Sheikh, and from the cave of Houthi, Ould Sheikh inspired the tricks, and didn’t implement the resolutions of international legitimacy issued against the Iranian coup militia under Chapter VII of the United Nations, which prescribes its immediate use of military force against any threat to international peace and security. 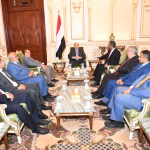 In the cave of the Houthi whom was visited and met by the envoy Ould Sheikh more than once, discussed the plans and tricks and how to circumvent the resolutions of international legitimacy. And distort the Yemen legitimacy by dragging it to the dialogue table to negotiate with armed militia by the approval of the international community. 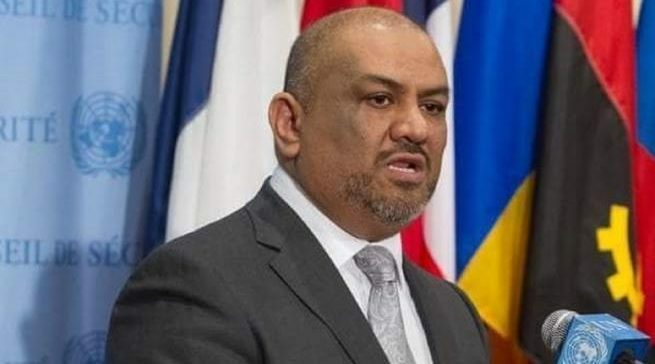 It is the cave Abdul Malik Al-Houthi, the envoy was inspired by the acceleration of the expansion of the Iranian project in the Arab region, and in his cave to draw a map of the ripping of Arab countries and transformed into sectarian and an unstable states of war and chaos. And the Houthi’s cave also, inspired Griffith’s ideas plan to kill the rest of the Yemeni people and plan to prolong the war. The envoy Griffiths appeared after the previous visits to Houthi’s mountain, praising on the bad Abdul Malik Al-Houthi. Al-Houthi will not withdraw from Hodeida and will not implement the agreement, which he created dead Houthi says in his mouth that he will not hand over Hodeida to the authorities of the legitimate government, and he will not even hand it over to a third party. The talks about delivery to local authorities in accordance with the Yemeni law. Here is the envoy Griffiths, arrived Sunday in the capital Sana’a on his way to the Houthi’s cave with General Michael Lollesgaard.